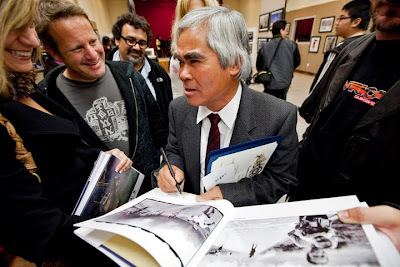 LA Photo: Nick Ut Photo Exhibit "From Hell To Hollywood"
Nick Ut signing a book. 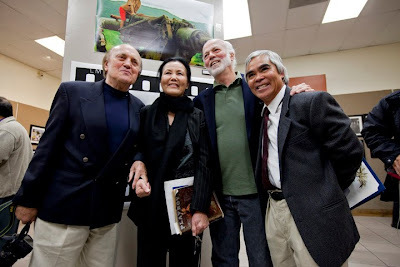 Peter Arnett, Kieu Chinh, David Hume Kennerly and Nick Ut. 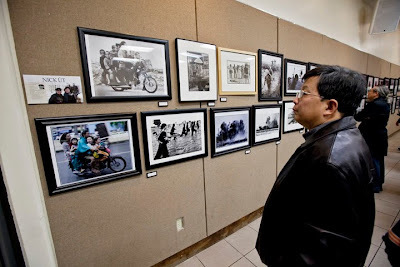 Last night's opening reception was a huge success for the photo exhibit featuring Nick Ut and Dan Huynh held at the Nguoi Viet Daily News building in Westminster's "Little Saigon." 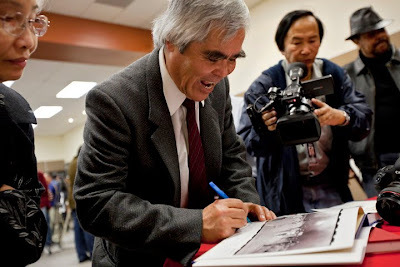 Over 250 guest were in attendance to see Nick's world famous images which featured the Viet Nam war and his newest work from Hollywood. 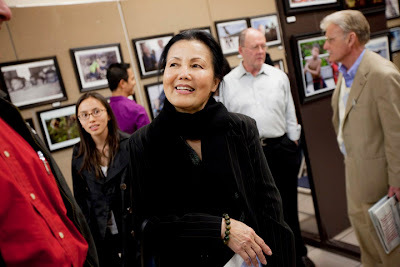 Spotted in the crowd was the lovely Kieu Chinh famous Vietnamese actress, Pulitzer Prize winning journalist Peter Arnett, and world famous photojournalist David Hume Kennerly. 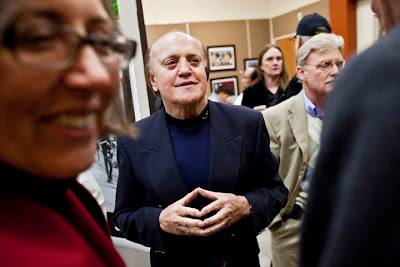 Nick Ut rushed off to the airport to fly to Berlin to meet Mikhial Gorbachev and Katherine Denueve to receive an award for Cinema for Peace.